Recent Arrival! 6-Speed Automatic Electronic with Overdrive, Jet Black w/Cloth Seat Trim, 10-Way Power Driver's Seat Adjuster, 110-Volt AC Power Outlet, 150 Amp Alternator, 4.2" Diagonal Color Display Driver Info Center, Body Color Bodyside Moldings, Body Color Door Handles, Body Color Power-Adjustable Heated Outside Mirrors, Chrome Grille Surround, Color-Keyed Carpeting w/Rubberized Vinyl Floor Mats, Deep-Tinted Glass, Driver & Front Passenger Illuminated Vanity Mirrors, Dual-Zone Automatic Climate Control, Electric Rear-Window Defogger, EZ Lift & Lower Tailgate, Front Halogen Fog Lamps, Heavy-Duty Rear Locking Differential, Leather Wrapped Steering Wheel w/Cruise Controls, LED Cargo Box Lighting, Manual Tilt Wheel Steering Column, OnStar 6 Months Directions & Connections Plan, Power Windows w/Driver Express Up, Preferred Equipment Group 3SA, Rear 60/40 Folding Bench Seat (Folds Up), Rear Vision Camera w/Dynamic Guide Lines, Rear Wheelhouse Liners, Remote Keyless Entry, Remote Vehicle Starter System, Single Slot CD/MP3 Player, Single-Zone Air Conditioning, SLE Value Package, Steering Wheel Audio Controls, Theft Deterrent System (Unauthorized Entry), Trailering Equipment, Universal Home Remote. This vehicle is equipped with: Preferred Equipment Group 3SA (150 Amp Alternator, 4.2" Diagonal Color Display Driver Info Center, Body Color Bodyside Moldings, Body Color Door Handles, Body Color Power-Adjustable Heated Outside Mirrors, Chrome Grille Surround, Color-Keyed Carpeting w/Rubberized Vinyl Floor Mats, Deep-Tinted Glass, Driver & Front Passenger Illuminated Vanity Mirrors, EZ Lift & Lower Tailgate, Leather Wrapped Steering Wheel w/Cruise Controls, LED Cargo Box Lighting, Manual Tilt Wheel Steering Column, OnStar 6 Months Directions & Connections Plan, Power Windows w/Driver Express Up, Rear 60/40 Folding Bench Seat (Folds Up), Rear Vision Camera w/Dynamic Guide Lines, Rear Wheelhouse Liners, Remote Keyless Entry, Single Slot CD/MP3 Player, Single-Zone Air Conditioning, and Steering Wheel Audio Controls), SLE Value Package (10-Way Power Driver's Seat Adjuster, 110-Volt AC Power Outlet, Dual-Zone Automatic Climate Control, Electric Rear-Window Defogger, Front Halogen Fog Lamps, Remote Vehicle Starter System, Theft Deterrent System (Unauthorized Entry), and Universal Home Remote), Trailering Equipment (Heavy-Duty Rear Locking Differential), 6-Speed Automatic Electronic with Overdrive, Jet Black w/Cloth Seat Trim, 3.23 Rear Axle Ratio, 3.42 Rear Axle Ratio, 40/20/40 Front Split Bench Seat, 4-Wheel Disc Brakes, 6 Speakers, ABS brakes, Air Conditioning, AM/FM radio: SiriusXM, Auxiliary External Transmission Oil Cooler, Bodyside moldings, Brake assist, Bumpers: chrome, CD player, Cloth Seat Trim, Compass, Delay-off headlights, Driver door bin, Driver vanity mirror, Dual front impact airbags, Dual front side impact airbags, Electronic Stability Control, Emergency communication system, Exterior Parking Camera Rear, Front anti-roll bar, Front Center Armrest w/Storage, Front License Plate Kit, Front reading lights, Front wheel independent suspension, Fully automatic headlights, Heated door mirrors, Heavy Duty Suspension, Illuminated entry, Low tire pressure warning, MP3 decoder, Occupant sensing airbag, Outside temperature display, Overhead airbag, Overhead console, Panic alarm, Passenger door bin, Passenger vanity mirror, Power door mirrors, Power steering, Power windows, Premium audio system: IntelliLink, Radio data system, Radio: AM/FM Stereo w/8" Diagonal Color Touch Screen, Rear reading lights, Rear seat center armrest, Rear step bumper, Remote keyless entry, SiriusXM Satellite & HD Radio, Speed control, Speed-sensing steering, Split folding rear seat, Steering wheel mounted audio controls, Tachometer, Tilt steering wheel, Traction control, Trip computer, Variably intermittent wipers, Voltmeter, Wheels: 17" x 8" Bright Machined Aluminum, and Wheels: 20" x 9" Ultra Bright Machined Aluminum.Awards: * 2014 KBB. Grubbs Family of Dealerships is your trusted destination for used cars for sale whether you're in Dallas or Hanover, MA. From luxury cars like the INFINITI QX80 to family-friendly SUVs like the Nissan Rogue, you'll find a top selection of vehicles at a Grubbs dealership near you. 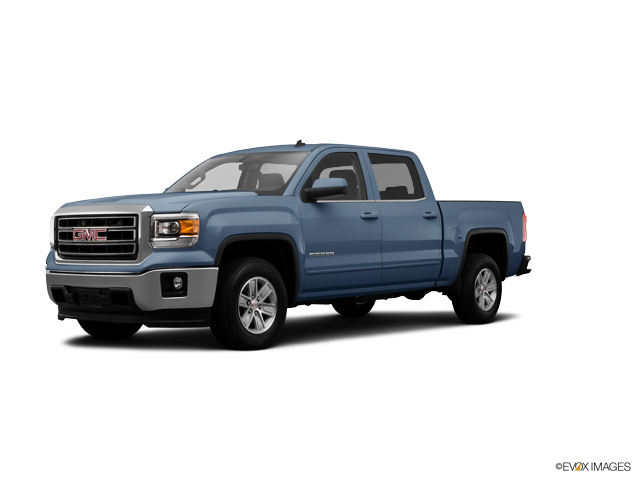 Our Texas and Massachusetts dealerships offer used cars, trucks, and SUVs for purchase, so browse our inventory above to start your search. Grubbs' new, used and certified pre-owned vehicles are impeccable quality. We have a knowledgeable finance team to work with as you shop for your new or used car, and a low-pressure, transparent sales process to make your time with us enjoyable so that you trust us with your future automotive needs. Find a used 2014 GMC Terrain vehicle for sale at Grubbs Family of Dealerships, and schedule your test drive in today!